With Labor Day approaching and the final Summer BBQ, I wanted to create a welcoming vignette in my home. its hard to believe summer’s over, but luckily in California; it feels like summer till November! You can find the new American Home™ by Yankee Candle® at Walmart. 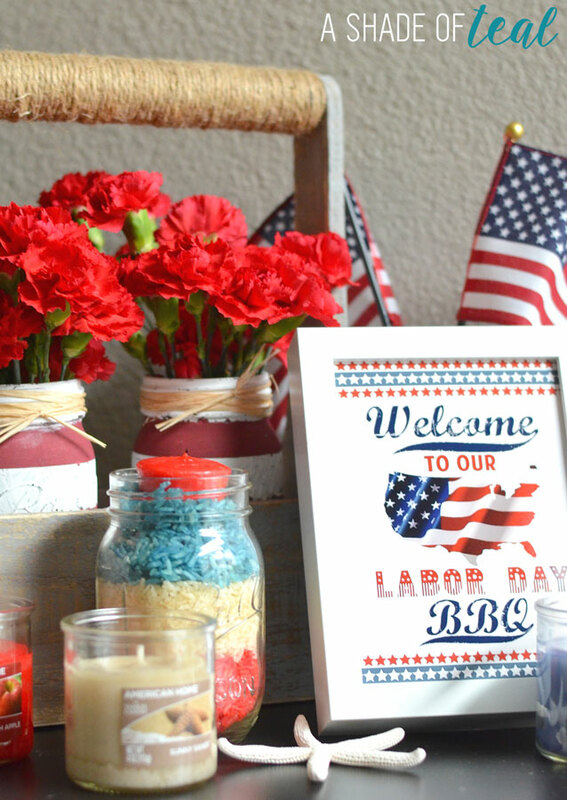 They have a huge selection of new fragrances which were perfect for my Labor Day decor. You can find their entire collection at your local Walmart in the Home and Candle section located in the home decor area of the store. The American Home™ by Yankee Candle® offers several price points and sizes. I purchased the votive’s at $1.43 each along with the Small Tumbler Candles at $4.93. Once you have all your supplies, pour about 1/4 cup of vinegar into a dish with several drops of the food coloring. I just eye-balled it, but you can always add more food coloring if you want it darker. Next, mix the colored mixture with the rice and shake it up till its evenly distributed. Now repeat the same steps with the red. 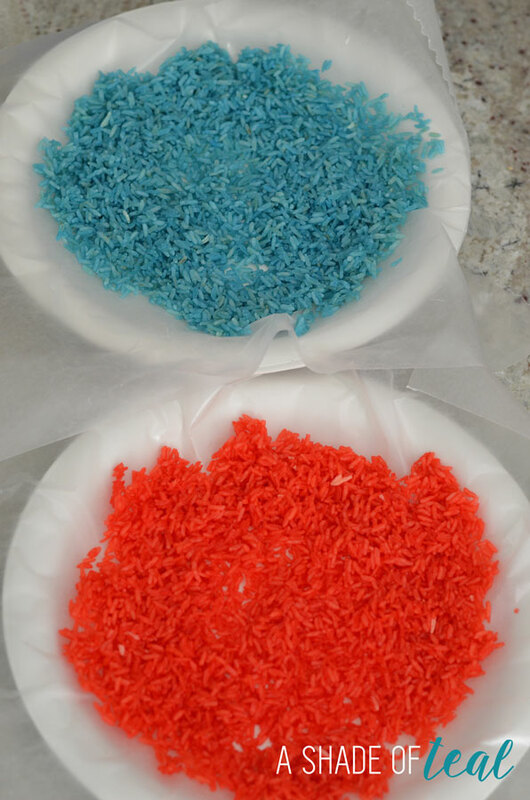 After both colors are ready you’ll need to spread the rice out to dry. I took some paper plates and laid wax paper over them like so. You’ll need to let them dry for a couple hours. Since it was 100′ at my house I just placed them outside for 1 1/2 hours. Now the fun part! Get your mason jar out or any container you want to use. 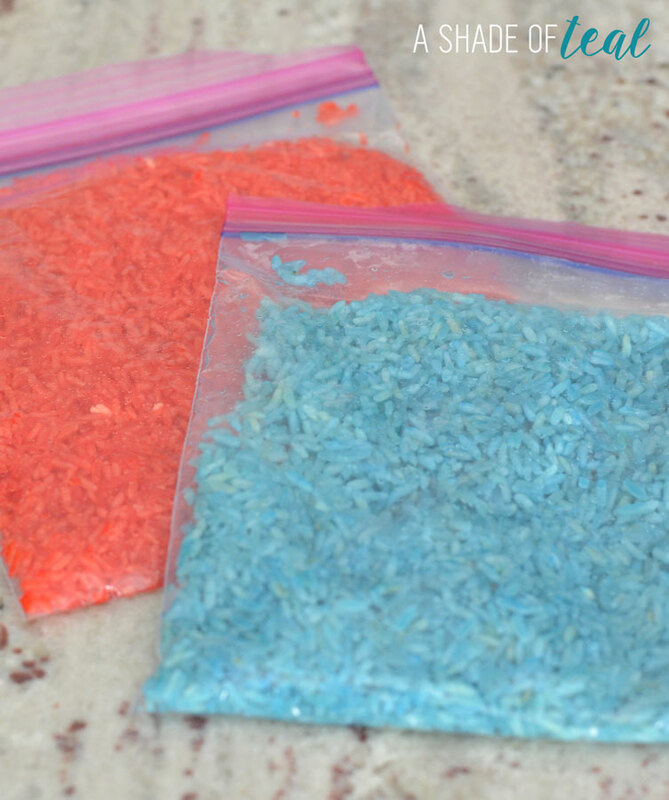 Start by adding the red, then white, then blue rice. 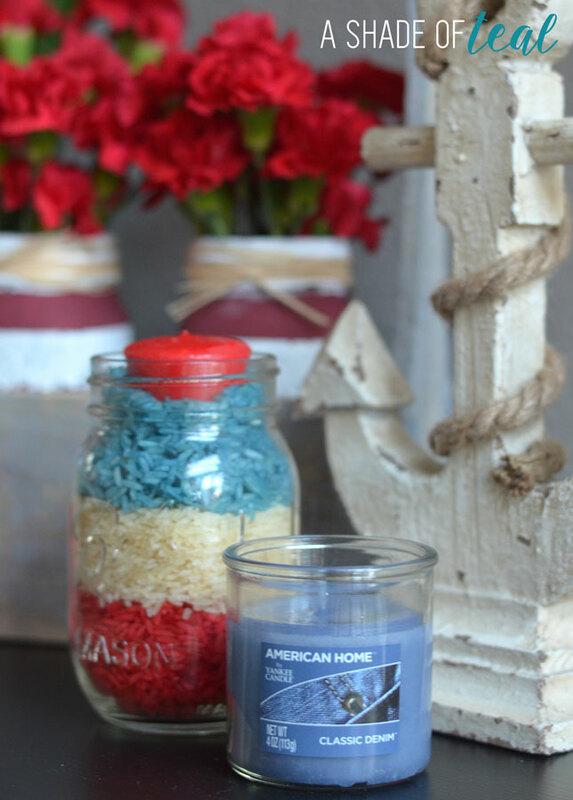 Next top it off with your American Home™ by Yankee Candle® votive candle and your good to go! Please make sure to follow all candle instructions very carefully. This DIY Rice candle holder only took about 15 minutes to make plus the 1 1/2 hours of drying time; it was a really easy project! Now here’s my Labor Day vignette for our last BBQ of the summer. 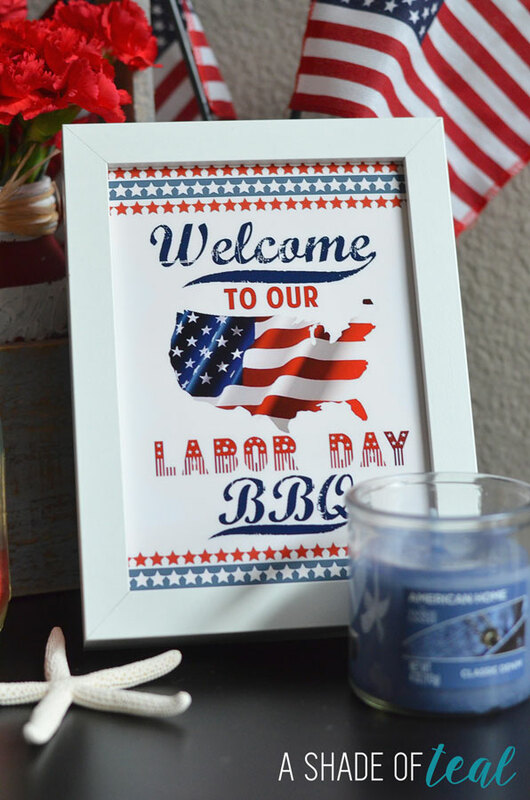 For your free labor Day Printable see below! 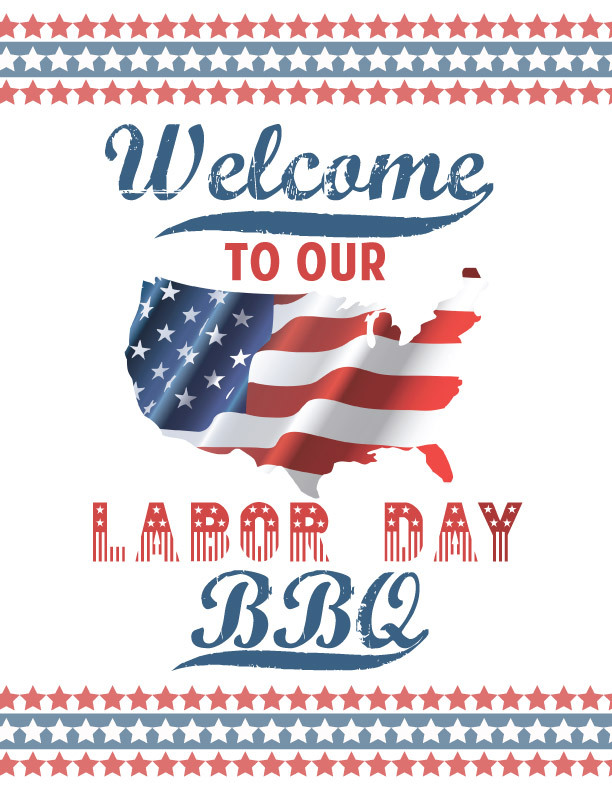 Labor Day Printable- Download Here. 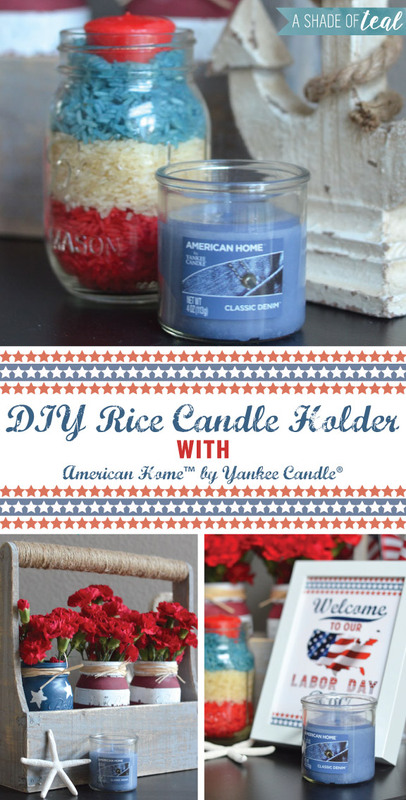 I hope you enjoyed this easy DIY rice candle holder with the new American Home™ by Yankee Candle® brand at Walmart. I can’t wait for the 3 day weekend and to celebrate Labor Day! Do you have any plans for this Labor Day weekend? Maybe a BBQ or pool party? Thanks Jenna! 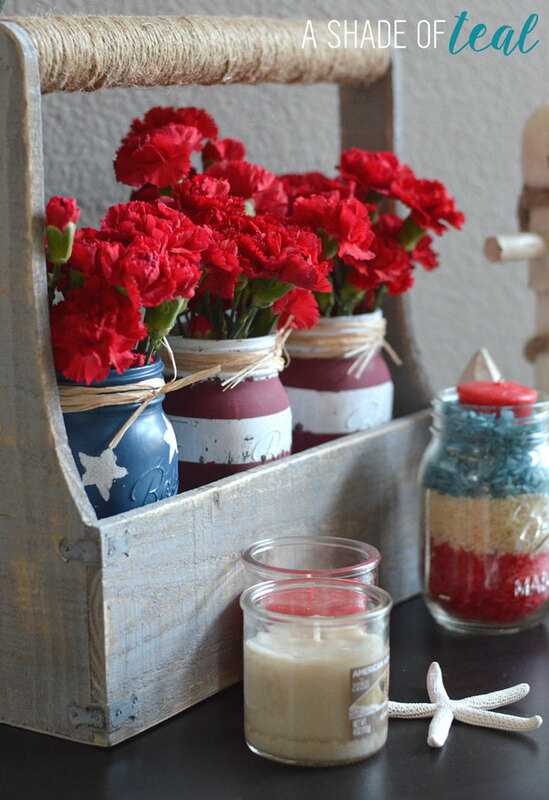 I know, I was amazed how bright the colors are, and definitely a great idea to reuse the empty American Home by Yankee Candle jars! 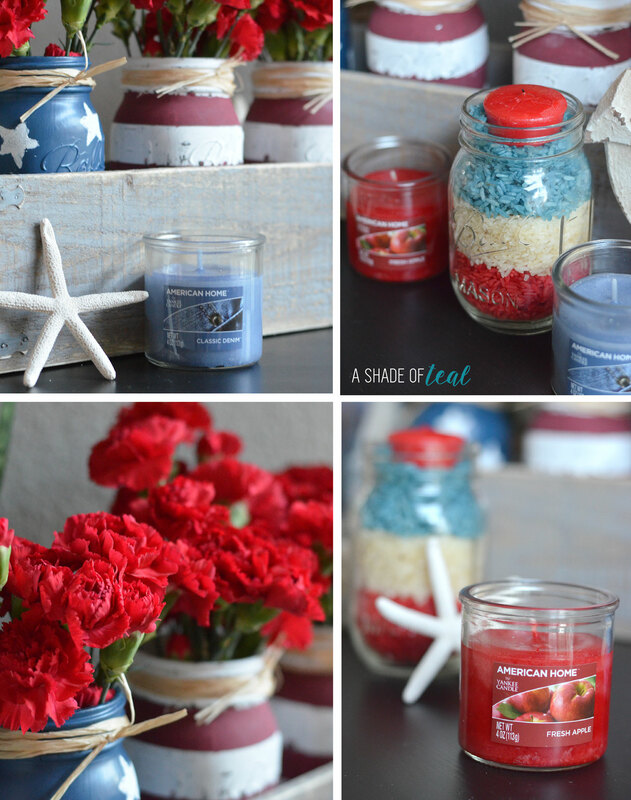 I am ALWAYS looking for more ways to use candle jars and mason jars! I love this idea! Thank you for sharing! Oh I love this! Could totally be used again for 4th of July and Memorial Day too! I know! I’m definitely planning on keeping it around for the next holiday! Thanks Chrissa! Thanks Christine! My daughter definitely loved watching, I’m sure your kids will too! Love this! I’ve seen alot of rice crafts lately and this has me inspired to make some of these for the upcoming holidays, purple orange and green would make for great halloween goodies!